I finally joined Foodbuzz. Big deal, right? Well, it is to me. I’m generally scared of cliques and social networks, but decided to give it a try anyways. So now I need friendz. Will you be my friend? My handle is either dp or Blazing Hot Wok. I’m not really sure. That’s how good I am at these things. I’m leaving for a 2-week trip to Italy in about 40 hours. I’m thinking I won’t want to post be able to post during that time. But don’t worry, I’ll write down every minute detail about what I see, do and eat so I can be sure to share it with the you, even if you don’t care to know. Now I have to go clean out my fridge and push all the perishable food off on my neighbors. And do laundry. And start packing. And finish that final report for work. Ugh. If you need some comic relief, go see a T-ball game. We signed Sonny up for our local little league and had no idea what to expect. Let’s just say, I’ll be happy if Sonny isn’t scared of the ball by the end of the season. None of the kids can catch. 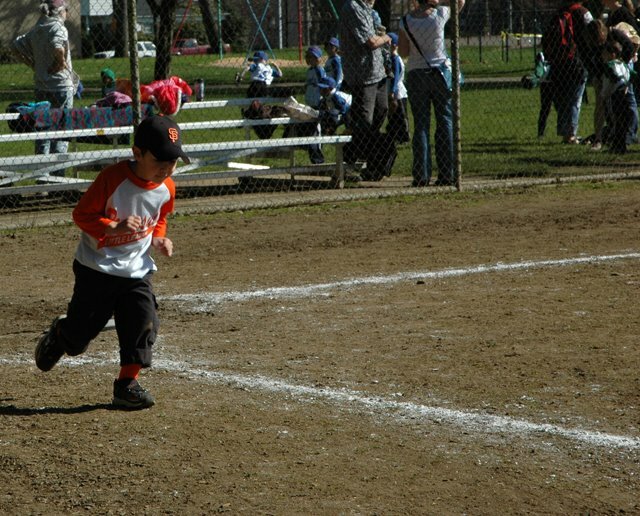 Only one kid can actually throw hard enough to reach base to base. Since everyone is still learning the game at this point, the entire team is out on the field at the same time. Imagine ten 5-year-olds running for every single ball that comes out. Talk about pile-ups; it looked more like rugby than baseball. Then once they’ve wrestled the ball from their teammates, they’re usually confused about what to do with it. Once during the first game, Sonny was supposed to be running from first to second base but decided instead to chase the ball hit by his own teammate. 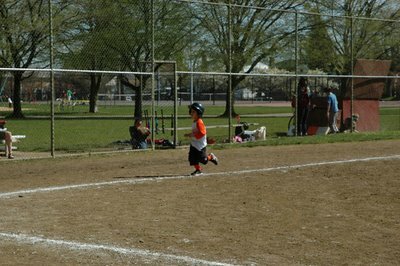 That wasn’t as bad as the kid who hit the ball (pretty hard too) then proceeded to run to 3rd base. I don’t think I’ve ever laughed so hard in my life. Sonny taking a practice lap. Isn't he cute with the little fists? Doesn't the weather look lovely? 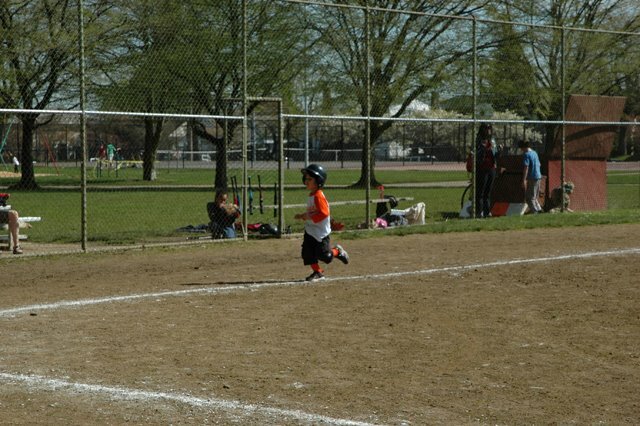 Sonny running for home plate. The downside to playing sports in the spring in Portland is having to deal with unpredictable weather. Last weekend was so warm and beautiful. People were wearing shorts and flip-flops to the game. This weekend it hailed and didn’t even break 50 F. People were dressed like they were going skiing. I made the mistake of wearing my Chuck Taylors and by the time I got home, my feet were so wet and cold, I couldn’t feel my toes. While other people in warmer climes are pulling out their grills, I fired up my oven to braise pork shank for noodle soup. It’s a variation of a pork shank stew I ate growing up. Usually it's served with hard-boiled eggs over rice. This time I decided to nix the eggs and do it with noodles. The broth is savory-sweet with hints of anise, fennel, cinnamon and ginger. The pork shank is so tender because it’s braised with the skin on. This keeps the meat moist and when the collagen breaks down, it adds richness to the broth, much like what happens when you braise lamb shank. Note: The flavor base for the broth is thick soy sauce. As its name implies, it is thick with the consistency of molasses. It is also sweetened with molasses. Regular old Kikkoman cannot be substituted. 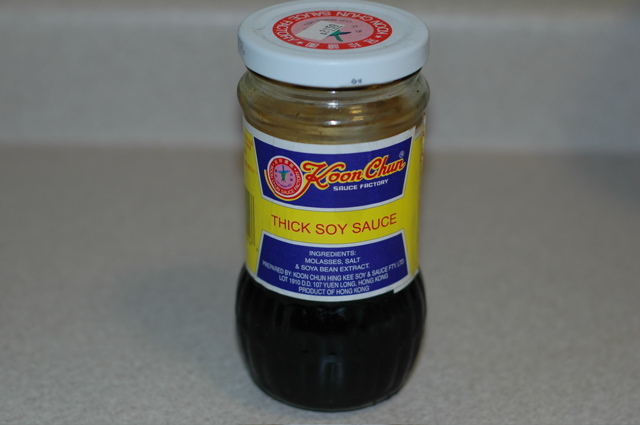 I believe thick soy sauce also goes by the name ketchap manis. 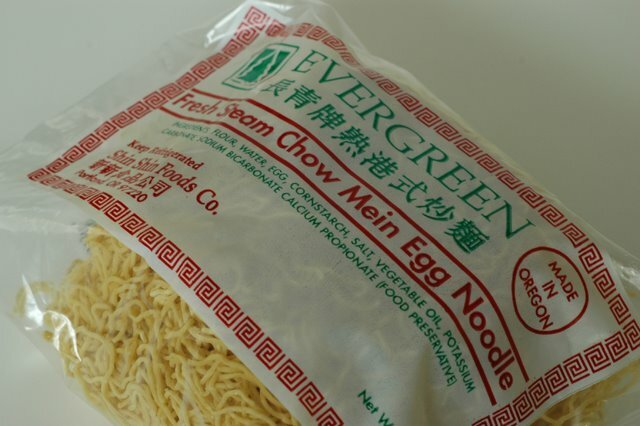 For this dish, I recommend using the chow mein noodles. They have a better texture than ramen noodles or even rice noodles. However, if you can’t find them substitute any noodle you like. Or you could even use rice. I've only recently discovered these noodles. I like them because they have a nice al dente texture, whereas ramen or rice noodles can get soggy. They are also great for stir-frying. In a stockpot or large Dutch oven, warm a little oil over medium-high heat. When hot, add the pork shanks and brown them well on all sides. Add the spices, ginger, and garlic and fry until fragrant. Add the water, sugar, thick soy sauce and fish sauce. Allow to come to a boil. When it comes to a boil, cover and braise either on the stovetop over low heat or in a 300 degree oven (my preferred method). Either way, it will take about 2 to 3 hours. It’s done when the meat on the shanks is fork tender and the collagen has broken down. Normally I make this stew a day or two in advance and allow it to sit in my fridge to let the flavors meld. And it makes it so much easier to remove the fat, which will rise to the top and solidify. However, this isn’t necessary. If you plan to eat them the same day, just remove the shanks and allow them to cool slightly before removing the skin and bones and collecting the meat. 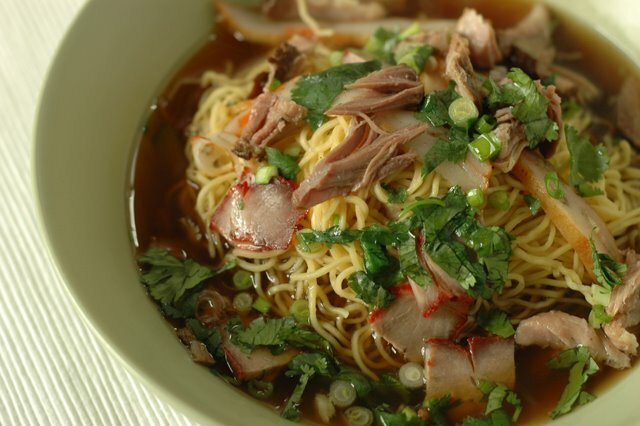 If you allow the broth to sit for 15 to 30 minutes, the fat will rise to the top and you can skim some of it off. I recommend straining the broth to remove the spices. Cook the noodles according to package instructions. For the chow mein noodles, I just boil them for 2 minutes and drain. Easy. To plate, I put a bundle of noodles in the bowl, pile it with the garnishes then ladle the broth on top. I like just a couple of ladles of broth, while Sonny and Hubby like a lot of broth. The condiments go out on the table so everyone can season their soup the way they like. As I’ve said before, I’m intrigued by the idea of making my own cured meats. I feel like it’s really becoming a lost art. Maybe it’s because people think it’s hard or requires expensive equipment. That’s what I thought. Or maybe it’s because people think that they could just as well buy ham and salami at the market, so why bother? What I’m finding is that it’s neither hard nor expensive, and when everything turns out right, it’s better than what I can get at the market. I also like the idea of seeing the process through. 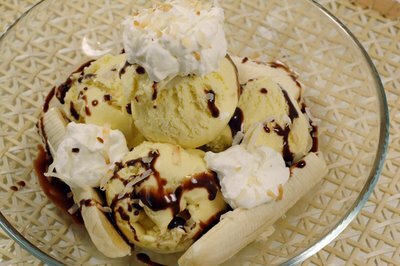 Pick out the ingredients, watch the transformation and enjoy the taste. It really is quite rewarding. 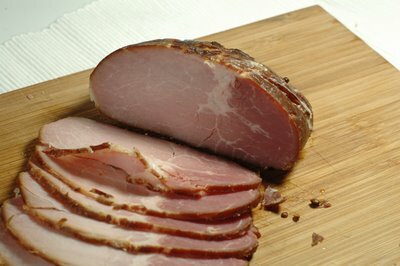 For my first attempt at curing, I chose to do Canadian bacon, the recipe for which I adapted from Charcuterie (see the left side bar). It really is so easy. The only special things you’ll need is pink salt (aka Prague powder #1 or Instacure #1 or sodium nitrite curing salt) and a smoker, although the smoker is not really necessary. Roasting in a oven should work just fine. I don’t have a smoker, but my neighbor allowed me to use his (thanks Dennis!). The results were far better than I expected. I was afraid the pork would be too salty or dry, but the brine salted the meat perfectly and the pink salt gave the finished product a wonderful pink color. Without it, I think the color would have been grey. The texture was right on and it wasn’t dry at all. Smoking the pork gave it the extra touch, as you can imagine. *Note: There seems to be a lot of controversy over pink salt. 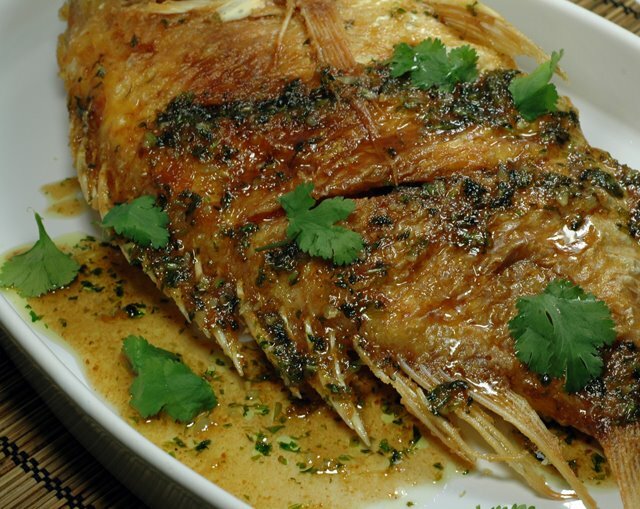 In some recipes, it’s required as it neutralizes the toxins given off by the botulism bacteria. 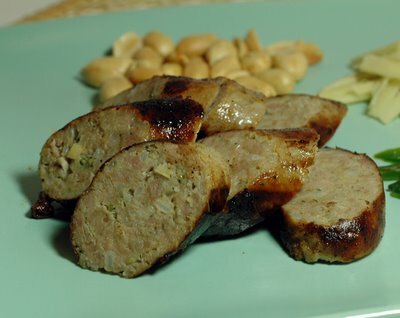 For this recipe, I think it’s mostly used to give the meat a nice pink color after it’s been cooked. I recommend using it, but use only as directed. Consumed in large amounts, it can be harmful. You’ll probably need to order it online unless you’re lucky enough to know someone who has access to it. 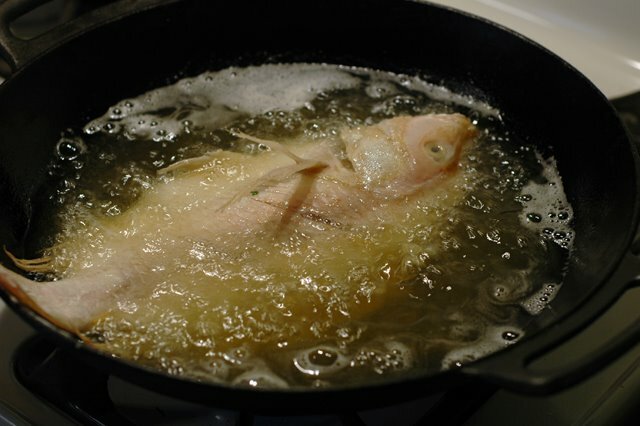 In a large (non-reactive) pot heat the water with the other brine ingredients until all the salt and sugar is dissolved. Allow to cool to room temp before sticking it in the fridge to chill. When it’s completely chilled, add the pork loin. Make sure it’s completely submerged. Let the pork loin brine for 48 hours. I actually left it in for like 60 hours because I forgot about it and it still turned out fine. After that time, remove it from the brine and pat it dry. Let it sit in the fridge, uncovered, for 12 to 24 hours. It’s best if you can suspend it on a rack over a tray to let it drip and allow air to circulate around it. Hot smoke the pork loin at 200ºF until it reaches an internal temperature of 150º. This took me about 3.5 hours. If you don’t have a smoker, you can roast the pork in the oven and I’m sure the result will still be tasty. According to the recipe, the Canadian bacon can be kept for up to 10 days after it's cooked, but I'm sure it will be gone well before that time! Before I "sign-off" I want to direct your attention to the Foodie Blogroll icon in the left side bar. 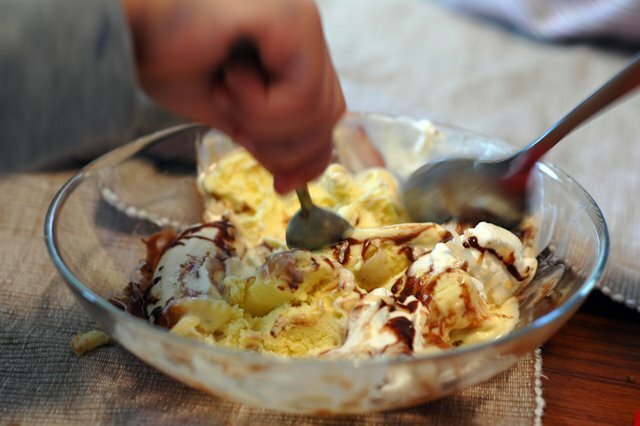 I just joined because I like the idea of having so many food blogs at my fingertips! It's also a great way to network. I encourage you to take a gander. Even Though You Didn't Ask for It...Another Ice Cream Post! I know I just posted an ice cream recipe. A green tea with lemongrass and mint ice cream, to be exact. Well, I’m doing it again. This time it’s Thai tea with coconut milk. I know, two similar recipes in two weeks. Is that a food blog faux pas? If it is, ya’ll better get used to it. I got me an ice cream maker, and there’s no stopping mama now! 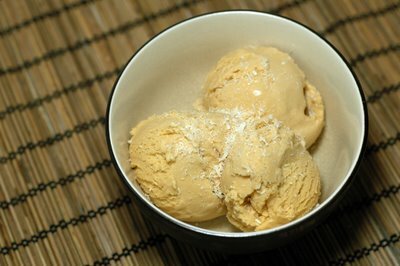 As I was farting around the Internet looking for some ice cream inspiration, I came across this Thai tea ice cream. I would have gotten around to making some kind of Thai tea ice cream eventually, being Thai and all, but after running across it, I got a craving. Eventually became pronto. I was intrigued by the idea of using condensed milk, but I didn’t have any on hand. Instead of doing just straight cream, I used coconut milk. I used the guideline 2 egg yolks/cup dairy, and it worked out beautifully (thanks Mike!). What else can I say about this ice cream? Try it. You'll love it, and if you don't you're just plain crazy. *Note: Loose Thai teas tend to be very fine. It will go right through a strainer, tea infuser or even 5 layers of cheesecloth. I highly recommend using fillable teabags or a tea sock. I prefer the fillable teabags over the tea sock. No cleaning. The teabag can go right into the compost. In a medium saucepan, heat the cream to just boiling. Add the teabags and allow to steep, covered, for 10 minutes. In the meantime, in a large bowl, whip the egg yolks with an electric mixer until thick and pale, about 5 minutes. Add the sugar in increments, beating well after each addition for a total of about 3 minutes. Remove the teabags from the cream, making sure to squeeze out excess liquid. Slowly add the liquid to the egg mixture while mixing with the electric mixer. Return the custard to the pot, and heat over medium-low heat, with frequent stirring, until it reaches about 175°F or until it coats the back of your spoon without running off. Strain the custard into a large bowl. Don’t push the debris through the strainer, unless you like soft scrambled eggs in your ice cream. At last, add the coconut milk and vanilla and mix well. Chill the custard, covered, until it’s cold, preferably overnight. Churn the chilled custard in an ice cream machine according to the manufacturer’s instructions. If you like tea infused creamy concoctions, then this Thai tea creme brulee may pique your interest.